This month’s feature is Tiffany Gallagher. If you’ve stopped by Lampy’s in Endicott it’s a sure bet she’s already a friend of yours. Tiffany grew up in Binghamton where you might have found her playing softball or rollerblading on the Southside with one of her siblings or singing in the city’s or county’s chorus. After graduating from Binghamton High School she studied Art and Interior Design at SUNY Broome receiving her degree in Business Administration. 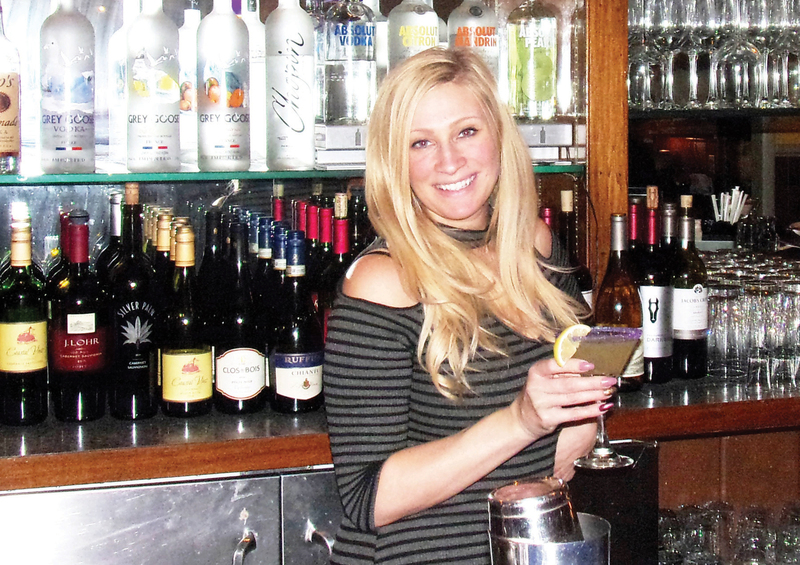 Bartending and serving is something she’s enjoyed. Besides being a great job you get to spend time with a lot of terrific people. When she’s not at work you’ll find her with her two children who admittedly are her world. Although raising two kids, bartending and serving can fill 10 days a week, you never know what the future will hold for Tiffany. She has a passion for decorating, hosting parties and still loves to sing, so one day you might find her on the party planning side of Food & Beverage. With the New Year already here, why not stop by and see Tiffany. And while you’re there, ask her to make you one of Lampy’s Specialty Martinis like the one pictured here.